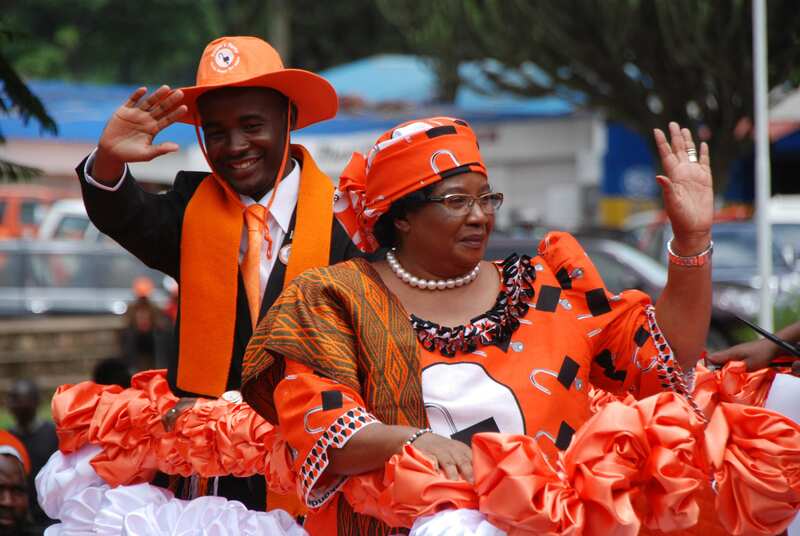 Mzimba district was this week a political podium for former Head of State Joyce Banda who revealed her development plans for Malawi. Banda disclosed that once ushered into power she will implement development projects in Malawi using money she generated while she was out of the country. “Nde ena akuuzani kuti akuteta…akuteta…Ndalama azitenga kuti…muwauze kuti kunja kuja ndimapanga chani? (Some people are to tell you that am joking… Where am I going to get the money…tell them what do you think she was doing outside the country) said BandaThe ex-Malawi leader explained that she eying to empower the youths in agriculture sector to ensure economic empowerment. Banda earlier this month expressed interest to return to presidential residents as head of state. She ruled Malawi after Bingu wa Mutharika’s death in 2012. Banda left the country after losing the presidential seat to Peter Mutharika, the younger brother to late Bingu. The defeat forced her into exile after the results of 2014 general elections were out only to appear in 2018 with a year to the next general elections. Yapita ijaTorch Trust brings Hope living to the blind.